Posiblemente la mejor academia de inglés de Tarragona. Clases activas y llenas de dinamismo dode aprenderás a comunicar en inglés a la vez que disfrutas de la clase. Porque aprender inglés también puede ser divertido y ameno. We are the P4 students from l’Arrabassada. During these weeks we’ve been working and learning about the animals and the colors. How? We started with a story called “Dear Zoo” by Rod Campbell. It’s about a girl who wants a new pet and writes a letter to the zoo asking them if they can send her an animal. The zoo sends her a lot of animals: an elephant, a giraffe, a camel, a lion… but she thinks they aren’t good enough for being pets. Finally, the zoo sends her a dog and it’s the perfect pet! This has been the last week working on it and we’ve created our own zoo. We’ve colored the animals, always asking for the crayons to the teacher in English. We are also learning how to ask “What’s your name?” and answer: My name is…. And how to ask: “How are you today?” and answer: “I’m happy/I’m sad/I’m hungry”. In fact, it’s been a good month for us! It’s been very funny!!!! We are Lucas, Teo, Rubén, Júlia, Jana and Maria. We want to show you the board game that we have created. It was easy to do and very funny to play. When we had the draft, we created the board on a cardboard and we stuck some questions about subjects in color papers. We also invented the rules of the game. Here you can see the 4th graders in l’Arrabassada school doing their first “running dictation”. It is a dictation that a lot of people in the academy know. We spliced the class in small groups. There was a text on the wall and they had to run to it, memorize part of it, go back running to their group and dictate it to their partners. http://blog.lockhartacademy.com/wp-content/uploads/featured-copy.jpg 1125 1500 María Vendrell http://blog.lockhartacademy.com/wp-content/uploads/New-Academy-Logo-v.2.0.png María Vendrell2015-01-24 12:59:032015-01-23 13:12:39Running dictation! We are the 1st graders in Escola l’Arrabassada. In this image you can see us using stickers to revise the parts of the body. Today I’m going to introduce you to the Pre-primary students of La Vitxeta and their two pets. Each group has a pet that overviews all the session. At the end, the pet decides who has been the best-behaved child and it goes to home with him or her, as a present. The students have to return it to class the next session and explain what they have done together. All the members of the group decided the name of their pet when I introduced them. They are all very motivated with these teddies and they always try to get a good behavior. The Monday-Wednesday group has a mouse they called Red-Nose. The Tuesday-Thursday group has a fat cat they called Tom. The animals through Silly Suzy Goose! In l’Arrabassada, the second graders have studied the animals through the “Silly Suzy Goose” story. http://blog.lockhartacademy.com/wp-content/uploads/1Foto-15-1-15-13-25-03.jpg 735 980 Karolina Karlsen http://blog.lockhartacademy.com/wp-content/uploads/New-Academy-Logo-v.2.0.png Karolina Karlsen2015-01-22 14:03:012015-01-22 14:03:01The animals through Silly Suzy Goose! I’m the p5 graders teacher. As I told you, we are still learning different types of food and animals. Now, we are doing it through a book called “My Favorite Food“. Here you can see a video where our students are singing “Do you like broccoli” song. They really enjoyed it! My name is Cristina Rodríguez and I work as a teacher in l’Arrabassada School with 5th, 2nd and P4 graders. I’ve studied at URV to become and English teacher and I finished my degree last year. I’m 22 years old and I’m from el Vendrell. 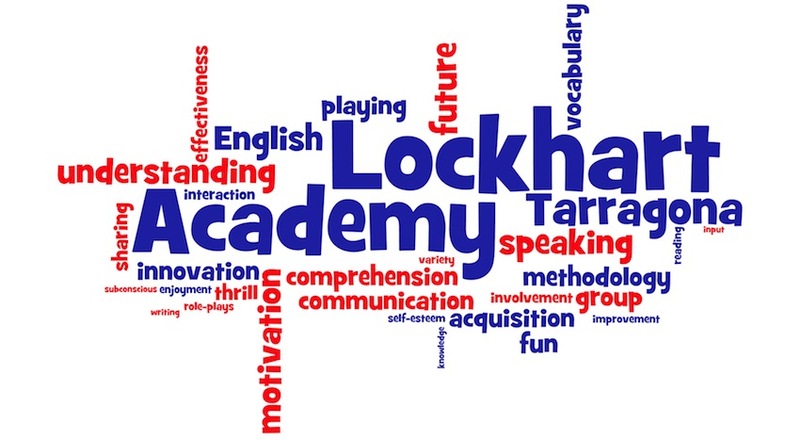 I’ve thought a lot about what I can say about me in this presentation and I think that the most important thing that you should know is that I’m very excited about working in Lockhart Academy and sharing moments with my workmates and my pupils in l’Arrabassada School. I’ve been working with children since I was 16 (well, I really started when I was 7 and my sister was born! I was always teaching her new things!). I love dancing, traveling, taking photos and I love “human towers” too (castells). I’m very involved in it because I’m part of the “canalla’s team” in El Vendrell. We try to teach them how to climb up in a human tower but the most important thing that we want to show them is that we must be a team and trust each other, to meet our common goals. As you know, I have an e-mail address where you can write me every time you want! I hope your children enjoy a lot learning English with me! http://blog.lockhartacademy.com/wp-content/uploads/cristinas-photo.jpg 1365 2048 Cristina Rodríguez http://blog.lockhartacademy.com/wp-content/uploads/New-Academy-Logo-v.2.0.png Cristina Rodríguez2015-01-14 16:17:372015-01-13 20:27:38Who am I? My name is Monica and maybe some of you know me because I taught in La Vitxeta last year. Now, I’m teaching Pre-primary students in La Vitxeta and ESO students from the Institut Pont del Diable in Sant Salvador. I love animals, reading, dancing and learning a lot. I think that it is very important to open our minds and learn with everything around us: old people, children, other cultures, nature… Everybody and every thing can teach us something. I hope all the students (the youngest and the oldest ones) have a nice time and enjoy our classes! Here we can see the P5 students from Arrabassada school. They are singing “We wish you a merry christmas”. These days, they designed their own christmas tree costumes and they did many christmas activities while they continued learning the colours and some new vocabulary. Hello families! As you know, we have already finished the classes in Escola L’Agulla. But, before we go on holidays we would like to introduce you to some of the pets that were with us this year. Hello families! As you know, the end of the school year is coming and it’s time to say goodbye to the pets that have been learning and having lots of fun with the 3rd graders in l’Arrabassada. Hello families! Do you like doing experiments but you don’t want to use a lot of material? You’re in the right place! 4th graders in l’Arrabassada did an easy experiment about a nature disaster: A tornado! Hello families! How are you today? Are you happy? Are you sad? Are you a little bit bored? Don’t worry, we have a solution! 4th graders in l’Arrabassada have been doing some activities related to the feelings using some popular faces that we are sure you use them daily: EMOJIS! Hello again families! Today we want to share with you a board game that 6th graders have been playing with in English class. It is called: The world.